A short three part program covering the knowledge and skills required to effectively use sensory techniques such as body wraps. As trainers we are always looking for effective and creative ways to help the dogs we work with learn appropriate behavior and live successfully in our human world. We are also modeling to our clients how to communicate and interact with their dogs in a humane, respectful, and caring manner. Typically, positive reward-based training techniques are very successful in shaping new behaviors. Unfortunately, not all dogs are receptive to training in the moment due to states of anxiety, fear, or over-arousal, which interfere with optimal learning. The goal of this course is help you learn about “sensory techniques,” which simply means the use of specific sensory input (tactile, proprioceptive) to give dogs new experiences. These types of sensory experiences can influence both emotional and physical states, resulting in a lowering of arousal and improved focus. We will start with a very simple, but often profound tool called the Body Wrap. Lesson One will provide an overview of sensory concepts, particularly how tactile and proprioceptive input can influence the nervous system, often resulting in changes in posture, movement, and behavior. 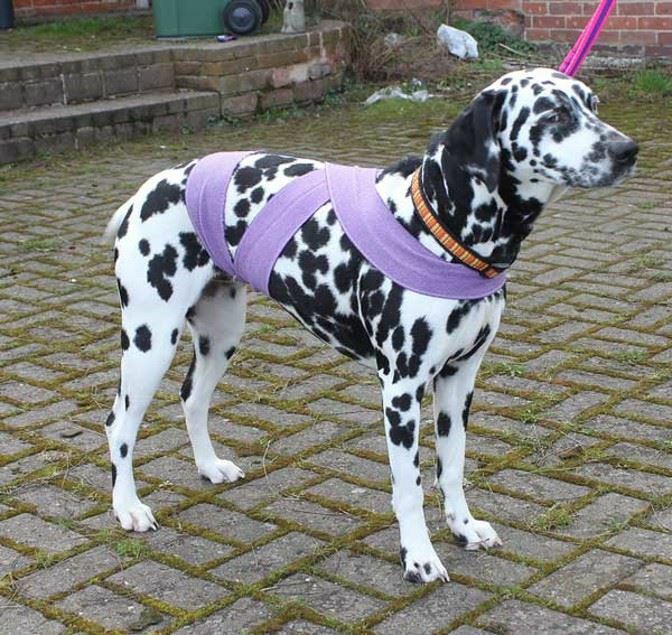 This section will also describe the purpose of using Body Wraps for dogs, proper fit and duration of wear, and the common situations where Body Wraps may be helpful in a home or other environment. Understand the basic concept of using sensory input to influence posture, body awareness, and behavioral responses. Identify multiple behavioral issues in which the use of a Body Wrap or Thundershirt typically has been used.